We are proud to provide uniforms to businesses in a variety of sectors, take a look around the Tibard website to see the variety of ranges and how they can work for your business. There are many great reasons to buy your workwear online from Tibard, any business in Leicester, Loughborough and Hinckley that need quality workwear at a great price is in the right place. We have one of the most extensive ranges of workwear on the internet and can offer all of these products at low prices due to the many large multinational businesses which we work within high volumes. This means that we can supply even the smallest of our customers with reduced price workwear and uniforms as we have no minimum order quantities. We can cater to any sized business on our website and also have many essential savings to ensure that the more you spend, the less you pay overall, and this includes bulk purchase discounts and free delivery on large orders. If your business is interested in printed clothing or personalised workwear in Leicester and Hinckley then we have an online feature that allows you to add a custom logo and text to any of our uniform items. Adding a business logo can make a big difference in allowing a customer to find you or your staff and it creates a highly unique and professional appearance. No matter what uniform needs you or your business have, Tibard is sure to be able to help so please feel free to get in touch. Our experience in the hospitality industry means we know how important it is for you to have premium customer service when purchasing the uniform for your staff. Investing in uniform is a big step for any Hinckley or Leicester business so we’re happy for you to ring up our friendly support team who will gladly provide you with more information about any apron, waistcoat or shirt you’re debating on buying. And as we started as a chef jacket manufacture, there isn’t a better place to go to learn more about chefs wear. It’s not only the level of quality customer service we provide that makes Tibard the UK hospitality industry’s favourite uniform supplier but the quality and integrity of the products we supply. We follow this by supplying our customers with the most skilled embroidery and the best commercial laundry service currently available in Leicester. As a business, we also understand the needs of being flexible as a business so chef clothing and uniform can also be delivered to businesses in Hinckley as well. Although our website is designed to handle any size of order, we generally find that substantial businesses who need a large volume of workwear or who will need multiple delivery sites on an ongoing basis are better off taking advantage of our managed uniform service. This service takes all of the logistics off your purchasing team and instead we will handle the supply and delivery of either a bespoke uniform or anything from our vast range, depending what your staff need. These accounts are perfect workwear solutions for businesses in Leicester, Loughborough and Hinckley especially if you have a large workforce. One of our other largest services is uniform laundry and rental which is an ideal service for those businesses in the hospitality and catering industry who need fresh and clean workwear at all times. 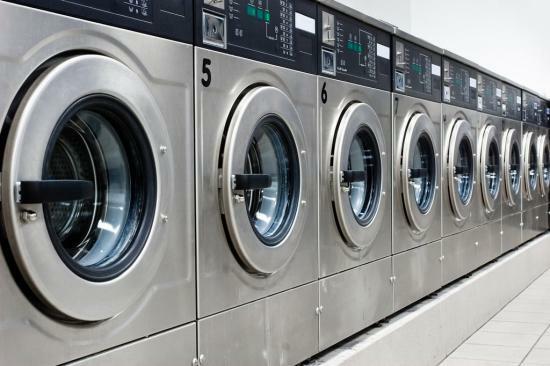 We take care of the laundry logistics for you and only rent the uniform to you so that there are no sizeable initial investment costs for your business. If you want to create a unique of bespoke uniform for your business in Leicester, then you can also get in touch about our uniform design service which allows us to design one-off, or full ranges of uniform items to create you a bespoke option, well suited to your business and staff needs.